Now, onto the long awaited part 2 of this list! Using the combined medals of the Pteranodon, Triceratops, and Tyrannosaurus, he transforms into his final form: this beautiful purple behemoth. Sadly, this got introduced in one of the single worst story arcs in not only OOO but in kamen rider as a whole. And i still wish TaJaDor was the final form. But, having such a cool berserker design, coupled with his amazing final form theme, oh its something special alright. A lot of people tend to hate this for some reason. Ok, yes, the whole “powered by freindship” thing was nonsense, and it shutting down should one of Gentaro’s friends stop being his friend, but that was resolved. So, point kind of moot. I like the design of him, I like his very nice blue color, and I absolutely love his final form theme. One of my top 5 definitely. His powers are cool, especially since he can create rips in space time and just drag his opponent into space. Beautiful. Oh, now this is nice. What better final form for a magician that uses gemstone rings than a diamond? It shines really unbelievably bright in the show, like we’re talking glitter EVERYWHERE. But, it has a very simple, palatable color scheme. A simple light blue and silver, that really work well together. Plus, he’s got that theme song performed by a sick metal guitarist… and a jpop group. Oh well, can’t have everything can you? 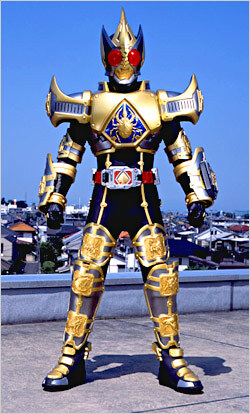 Going from more modern Kamen Rider, to the far off year of 2004, we have Blade King. Blade was very… interesting. Certainly not bad, but man was it unintentionally funny at times. I guess that’s why they hire pretty boy actors nowadays, since the acting in this show was very hokey. Anyway, I LOVE this suit. 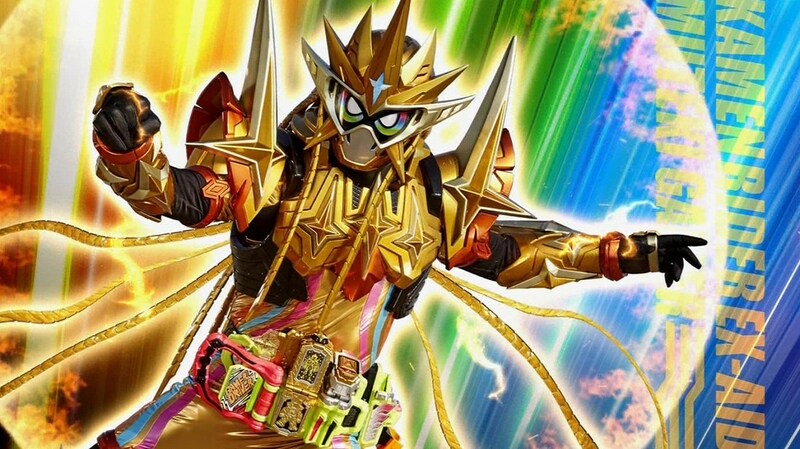 Shows off all of Blade’s cards across his armor, it’s a nice rich blue and gold, and had a very intense plot based around it that lead to the most depressing ending in a Rider show to date. Even GAIM which was really tragic had a sort of happy ending. Poor Kenzaki, and really especially poor Hajime. 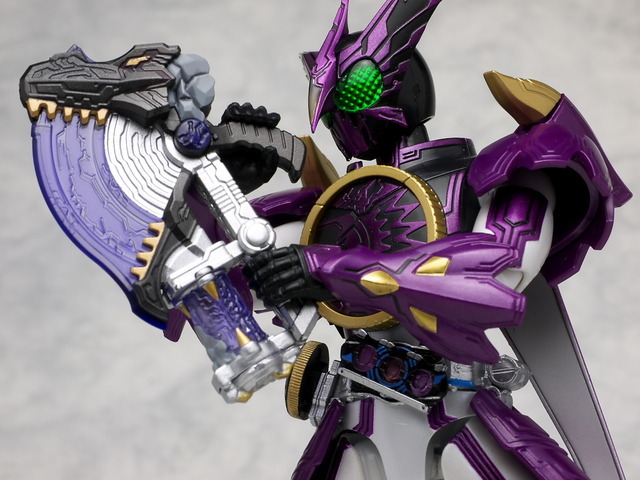 One of the first final forms in a Rider show I ever saw, of course I’d have some bias. But even then, it’s still a very cool design. Sure the way to get it was beyond DUMB, but the form itself looks beautiful. All it really does is take W’s main CycloneJoker suit, add a white stripe down the middle, and a big x to his head, and it’s done. But, the simplicity is so eyecatching and so pleasing, that it really warms up to you quickly. Going from my first Rider final form that I saw, to the actual first Kamen Rider final form, we have Ultimate Kuuga. I honestly could have just left this image here and have it speak for itself. The simple colors of black and gold. The red eyes clashing against it, the whole hidden lore around the Ultimate Kuuga suit. Beautiful. So of course what could be better than that but a fruit salad? Well, it goes much deeper than that honestly, considering Gaim’s context and the meaning of fruit in it. And yes, the cape is slightly jarring considering its black and red on a mostly silver suit. But, I think it is absolutely perfect for the show. 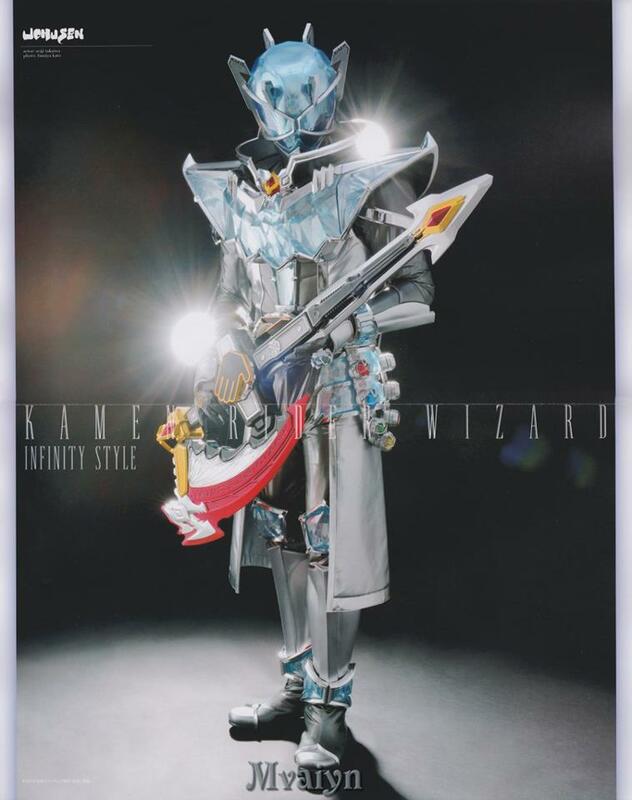 And, it has my absolute favorite final form theme period, maybe even my favorite Kamen Rider insert song even. The lyrics to the song carry such a weight, especially when you realize it’s our two main characters (or rtaher their actors) singing it. 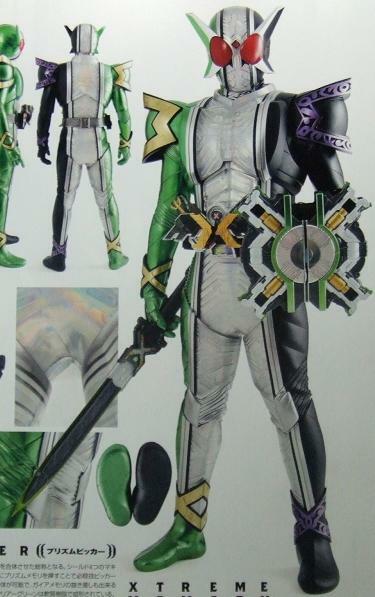 A lot of people were… iffy about Ex-Aid’s suits and how un-Rider in design they were. But, we did get plenty of good suits. Dangerous Zombie Genm, Cronus, Taddle Legacy Brave, Perfect Knockout Para-DX.. and this. Oh sweet Lord this. Bright gold everywhere. Rainbow eyes, because of course a final form has to have rainbow nowadays. The transformation tune is unbelievably catchy, and the whole first time it happened was unbelievable. Certainly worth the hiatus because of GOLF. I’ve got nothing. It’s perfect. The gold, the red, the CAPE, his THEME SONG. Sure, it got used way too much and appeared way too early (because hey, metal chains on an already heavy suit is a GREAT IDEA right? and having the guy LIFT HIS CHAINS LEG UP ABOVE HIS HEAD AND POTENTIALLY CRIPPLING HIM IS ALSO A GOOD DIEA RIGHT?) but it’s still a blast to see in action. Ultimate power really does overflow in that body.